The government said it was scrapping the fuel tax increases in its budget – the original spark for the protests. On Thursday young people took to the streets, protesting over educational reforms. 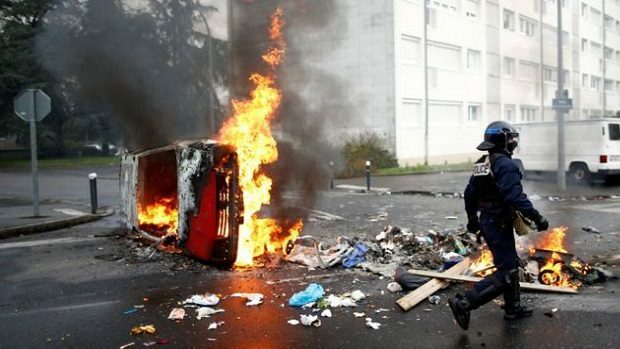 More than 140 people were arrested when a protest outside a school in Mantes-la-Jolie in Yvelines ended in clashes with police. Dozens of other schools were blockaded in cities including Marseille, Nantes and Paris. Students have been angered by President Emmanuel Macron’s plans to change the end-of-school exam, known as the baccalaureate, which is required for entrance to university. Critics fear the reforms will limit opportunity and breed inequality. Police have advised shops and restaurants on the Champs-Elysees to shut for the day. Some museums in Paris have also said they will be closed. Prime Minister Édouard Philippe told the Senate that “exceptional means” would be used on Saturday in addition to 65,000 police officers on duty across France.